Collection of Jeneca Klausen, Saint John, New Brunswick. 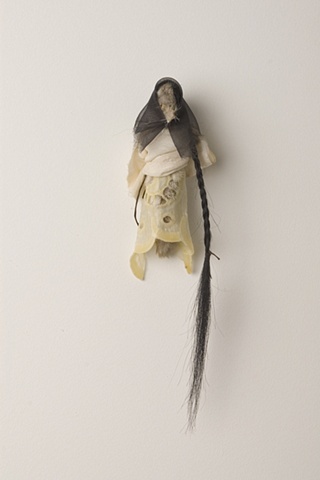 Rabbit's foot, human hair, fabric, beeswax. Update: Destroyed by fire, 2009.